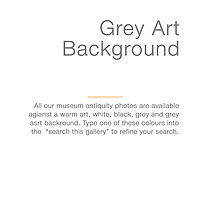 In the Middle Ages the popularity of religious artworks was enormous. 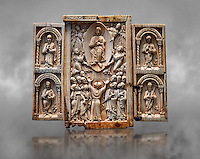 Intricately carved panels depicting lives and events of Christian saints and of The Virgin Mary & Christ show not only the devotional needs of medieval people but also demonstrate the skill of the medieval craftsman. 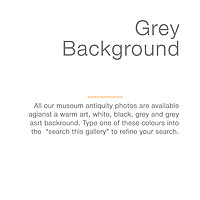 Life was often short in the Romanesque world dominated by feudal battles, disease and famine. 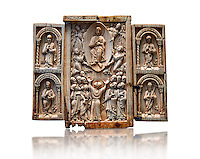 The fear of dying and going to Hell prevailed, so devotional objects, such as deptychs, two carved panelled that folded together, were treasured objects to be used to aid prayers to the saints. 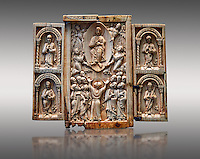 Even every day objects such as combs were carved with scenes from the Bible. 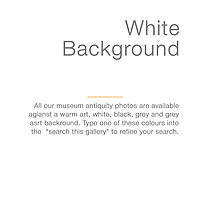 Working in miniature the Romanesque craftsmen carved intricate stories depicting scenes from the lives of deities. 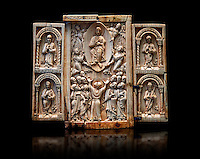 Ivory was perfectly suited for fine detail carving and many fine Romanesque religious carvings remain. 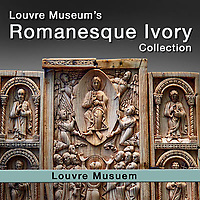 The Romanesque ivory carving in the Louvre are part of an important medieval artefact collection.